2 Corinthians 12:15 – And I will very gladly spend and be spent for you; though the more abundantly I love you, the less I be loved. The apostle Paul said he would rather spend and be spent. When we work for the Lord, we should give our all for the Lord. At times we may be taken advantage of in our minds. Sometimes we think our time is more valuable than it really is. When you think too highly of yourself, you will not have the attitude of being willing to be spent as the Lord see fit. Paul was not just glad but very glad to be spent for the Lord. 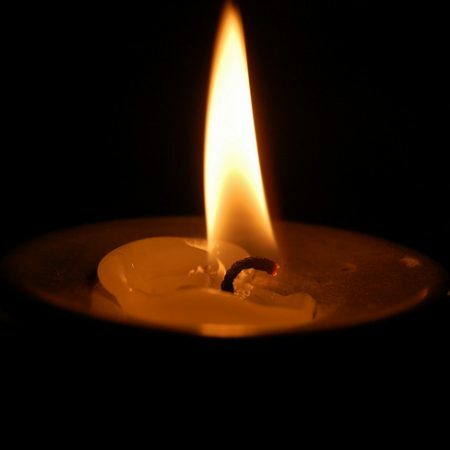 When I think of being spent, I think of a candle burning lower and lower until there is nothing left. It is consumed in the flame. That is the way it should be in our Christian life. People take advantage of a Christian’s love and willingness to give themselves. Like the apostle Paul we should be givers and not takers if at all possible. The modern welfare mentality is “get all you can for free.” The Christian mentally is “give your entire life to the Lord.” That is quite a contrast. Often when some people get something, they are not grateful for it even when they get it for free. Like the apostle Paul states, they loved him less the more he loved and gave to them. People are going to take advantage of you if you are a good Christian. That is just the way it is. You have to put yourself in a vulnerable position to help others. The important thing is that you maintain a glad spirit like Paul said here. You should never say that you wasted your time or money doing the Lord’s work just because someone took advantage of you. If you do it unto the Lord, leave it at that. The Lord will reward you if you had a good attitude when you did it. If you were grumbling and complaining the whole time, I am not sure there is much of a reward for that kind of service. Be willing to be taken advantage of and put yourself on the line for the Lord. Have a good attitude and let the Lord work things out. This post has been seen 1413 times.